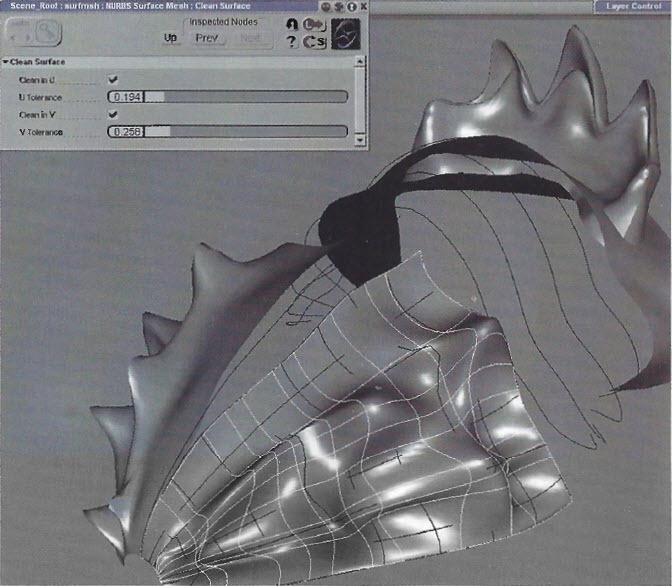 Screenshot and caption from the July 2000 3d world review of Softimage XSI 1.0. Check out the old-style PPG. Modelling is good but nothing to write home about, but things should improve. You do get the veritable pwerhouse of Softimge 3D thrown in for free, but integration between packages is certainly not ideal. Softimage XSI doesn’t support trimmed surfaces, for example. I can recall that 3d World review (that issue was what got my started on 3d at a “lower” level) and over the years I got the distinct impression that XSI 1.0 was the one version that should never have been released. They should apparently (and ironically) have waited for 1.5. But then again: there was obviously an eagerness to get the product out of the door already.And to me this is all hear-say anyway. I wasn’t really in the loop at that point, but I wonder if they felt that they just couldn’t wait any longer and that they had to release something. Yes, but as the initial release had apparently taken longer than planned anyway, one can only wonder, if they didn’t hurt themselves in the long run, considering the 1.0 reviews, especially while already playing catch-up with Maya. Ah, the wonderful gift of hindsight.. There was definitely urgency to get 1.0 out the door as ‘Sumatra’ was originally slated for release in 1996, then delayed to 1997 to include ‘Twister’. in early 1998 Maya was released to great fanfare but all that was heard out of the softimage camp was ‘soon’ and continued promises of the animation mixer, GAP, and other features what would trump anything maya had. After twister failed and Microsoft sold Softimage to Avid in June 1998, and SI3D 3.7 was buggy as hell, questions started to be raised. Later in the year, Blue Sky debuted ‘bunny’ to great fanfare and excitement as it was done in SI3D. But just as excitement was building again for Softimage, Blue Sky announced they were moving to Maya and killed all buzz. This lead for more inquiries from customers as to what’s going on with Sumatra and Softimage merely replying with ‘soon’. At Siggraph 1999 a feature list was finally released for Sumatra, but it was underwhelming and the ship date was delayed, yet again, into the year 2000. At that point Softimage lost a lot of credibility and the tide started to turn. Many customers who were holding out for Sumatra finally gave up hope and started converting to Maya. While XSI 1.0 is not something that would generally get released to market, it needed to be done to stop the bleeding as the emperor had no clothes. XSI was doomed from the beginning.